“The recipe for success for companies today is to build the absolute most talented teams they can,” says Karl McDonnell, CEO of continuing education provider Strayer Education. McDonnell is talking about industries like retail, hospitality, and food and beverage, where “you’re hiring tens of thousands of people a year and have turnover rates in excess of 75 percent quite often,” but the difficulty of finding and retaining the right talent hits employers across industries. How do we tackle the problem? According to a 2014 Harris Interactive survey commissioned by Glassdoor, the best way to make better hires and reduce turnover (which would also mean making hires less often) is to give candidates “a clearer picture of what to expect about working at the company before taking the job.” A clearer picture would allow candidates to self-select out of jobs that aren’t right for them. This would increase a company’s likelihood of hiring a candidate who fits, and it would reduce the likelihood of new hires leaving early in their tenure because they’ve realized the job they took isn’t a match for them. Calling it an “online experience that is designed to provide a job applicant with a realistic overview of both the company and the role they are applying for,” McDonnell believes that PathBoost can “be the first step in helping organizations hire better people” and an impactful extension of an employers’ brand. Organizations that use PathBoost will have buttons on their career pages. Once a candidate clicks the button, they’ll start by building a virtual resume. They can either import their LinkedIn profile or manually fill out the digital document. Next, the candidate will be taken to a series of videos that will give them an overview of the company, the role, and the industry. 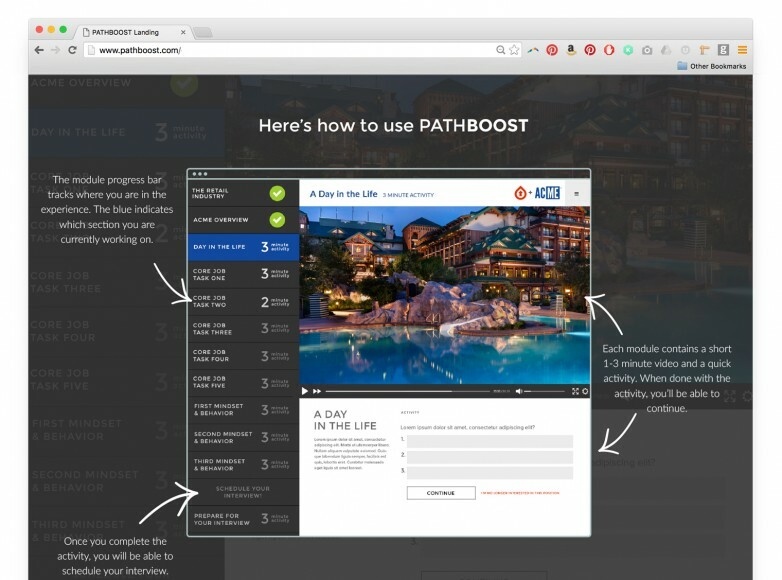 A screenshot of the PathBoost platform. Next, the candidate will learn about the company, including everything from high-level mission statements and core values to the nitty-gritty of how often they can expect their paychecks to arrive. “They’ll also get a realistic job overview,” McDonnell adds. What he means is that PathBoost videos don’t just focus on why a job or employer is great; they also shed light on some of the less exciting aspects of a role. If you’ll have to work nights and weekends, that information is front and center. If you’re not guaranteed a reliable shift, PathBoost will tell you. The point of including this unglamorous info is to make sure that candidates are truly good fits. That means being able to take the good with the bad. Throughout the process, candidates are asked to interact with the videos by answering questions about what they’ve learned. These questions don’t only ensure that candidates are engaged and attentive, but also that they’re qualified for the role. Employers will be able to see candidates’ answers and gauge their suitability accordingly. The whole process takes about 30-45 minutes, according to McDonnell, and candidates can opt out at anytime with the click of a button. The hope is that those candidates who do make the 45-minute investment in the pre-hire process will be those who have seen the full picture of the role and decided it is for them, whereas those who aren’t too keen on what they’re seeing will opt out of the process altogether. 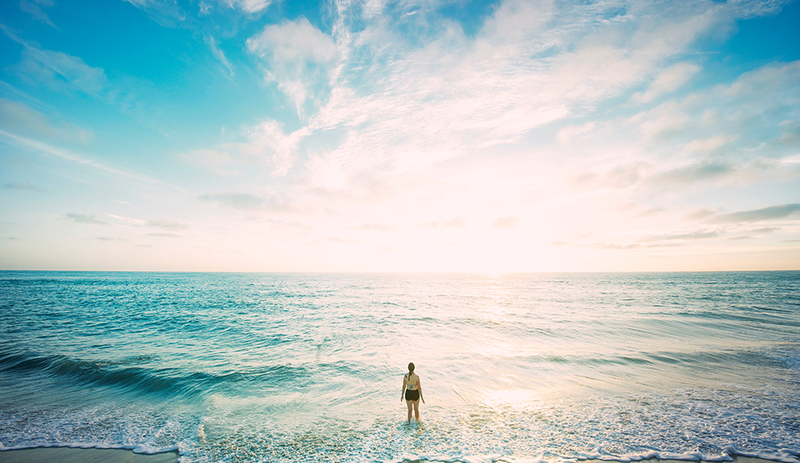 Digital Immersion: The Key to Better Hires? Intuitively, PathBoost seems like a sound idea. If candidates have a better idea of what a role is like through an immersive pre-hire screening, they’ll be better able to decide whether or not a job or company is right for them. That will mean that only those candidates who could do the job – and do it well – will make it to the actual application and interview stage. Employers can spend more time with qualified candidates and less time worrying about which of their new hires is going to jump ship. 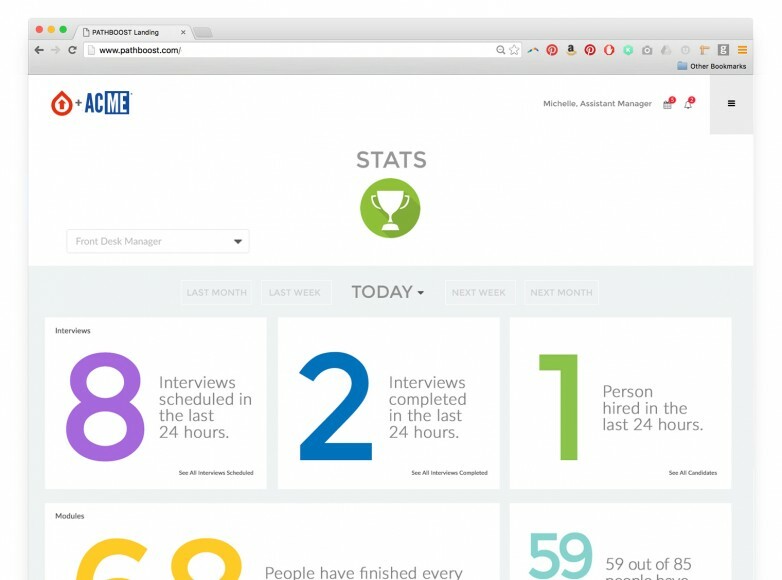 An employer’s dashboard on PathBoost. But will candidates be willing to make the investment – even those who fit the job? That could go either way. I can foresee some qualified candidates bowing out simply because they’d rather spend their time doing something else, and I can see unqualified candidates plowing ahead just because they really need a job, any job. That being said, McDonnell reports that PathBoost has received great feedback from the job seekers who have tested it out so far. Furthermore, employers have been putting candidates through pre-hire assessments for years, and most of those assessments are pretty uninspired. PathBoost’s interactive videos stand in stark contrast to the text-based assessments of yore. I distinctly recall spending at least an hour on an asinine behavioral questionnaire when I applied for a cashier’s job at Staples at the age of 17 or so. It’s probably the only thing I recall from that job – which, by the way, I left after three months – and I recall it for all the wrong reasons: It had nothing to do with the job at hand. It was monotonous. It was less concerned with my skills and experience than with my behavior in hypothetical low-stakes ethical conundrums. Now, if I imagine myself as a teenager again, but this time my pre-hire screening at Staples includes interactive videos that cover the company and the job in-depth, I’m fairly certain I’d recall that application process not for its mind-numbing ridiculousness, but for its clever inventiveness. I also probably would have realized the job wasn’t for me before wasting both my and Staples’ time trying to give it a go for three months. So, yes – bring on PathBoost. Let’s see what happens.